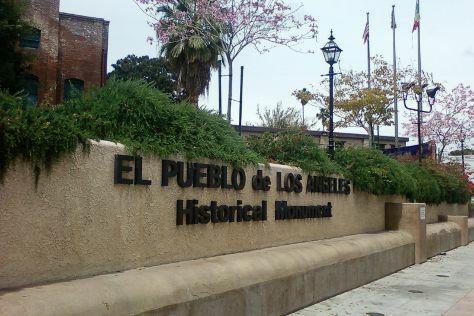 El Pueblo de Los Angeles and Craft & Folk Art Museum are good opportunities to explore the local culture. For shopping fun, head to Hammer Museum or Two Rodeo Drive. The adventure continues: kick back and relax at Venice Beach and Boardwalk, hike along Temescal Gateway Park, examine the collection at The Getty Center, and browse the different shops at The Grove. To see where to stay, maps, other places to visit, and more tourist information, refer to the Los Angeles travel planner. Brisbane, Australia to Los Angeles is an approximately 16-hour flight. You can also do a combination of flight and train. The time zone difference moving from Australian Eastern Standard Time (Queensland) (AEST) to Pacific Standard Time (PST) is minus 18 hours. Traveling from Brisbane in November, plan for a bit cooler nights in Los Angeles, with lows around 15°C. Wrap up your sightseeing on the 22nd (Fri) to allow time to travel to Miami. Deepen your sense of the past at sights like Lincoln Road and Art Deco Historic District. Give yourself a bit of retail therapy at Collins Avenue and Bayside Marketplace. 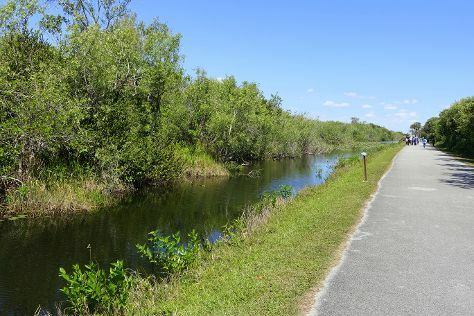 Explore Miami's surroundings by going to Everglades National Park (Gumbo Limbo Trail, Shark Valley, & more). Next up on the itinerary: tour the pleasant surroundings at South Beach. To find more things to do, traveler tips, other places to visit, and tourist information, use the Miami trip planner. Fly from Los Angeles to Miami in 7 hours. Alternatively, you can do a combination of flight and bus; or drive. Due to the time zone difference, you'll lose 3 hours traveling from Los Angeles to Miami. Traveling from Los Angeles in November, things will get somewhat warmer in Miami: highs are around 32°C and lows about 24°C. Wrap up your sightseeing on the 26th (Tue) to allow time to travel to Orlando. Step out of the city life by going to Discovery Cove and Disney's Animal Kingdom. Pack the 29th (Fri) with family-friendly diversions at Universal's Islands of Adventure. To see more things to do, ratings, where to stay, and more tourist information, read our Orlando attractions planner. Traveling by flight from Miami to Orlando takes 3.5 hours. Alternatively, you can drive; or do a combination of train and flight. Traveling from Miami in November, you can expect nighttime temperatures to be slightly colder in Orlando, with lows of 19°C. Wrap up your sightseeing on the 29th (Fri) early enough to travel to Washington DC. Your cultural itinerary includes sights like National Air and Space Museum and National Gallery of Art. Escape the urban bustle at National Zoological Park and Tidal Basin. The adventure continues: examine the collection at United States Holocaust Memorial Museum, appreciate the extensive heritage of Tomb of the Unknowns, pause for some photo ops at Lincoln Memorial, and get a new perspective on nature at Smithsonian National Museum of Natural History. To find maps, reviews, where to stay, and tourist information, go to the Washington DC trip itinerary planning site . You can fly from Orlando to Washington DC in 4.5 hours. Alternatively, you can do a combination of flight and train; or drive. Expect slightly colder weather when traveling from Orlando in November: highs in Washington DC hover around 17°C, while lows dip to 6°C. Finish your sightseeing early on the 2nd (Mon) to allow enough time to take a train to Baltimore. Get a sense of the local culture at Confederate Trails of Gettysburg and Fort McHenry National Monument. Visit Gettysburg National Military Park and Little Round Top for their historical value. Take a break from Baltimore with a short trip to Devils Den in Gettysburg, about 1h 20 min away. There's still lots to do: look for all kinds of wild species at Loch Raven Reservoir, take in the exciting artwork at Loring Cornish Gallery, and get outside with Trolley Trail 9. To see ratings, more things to do, where to stay, and tourist information, refer to the Baltimore online trip itinerary planner . Take a train from Washington DC to Baltimore in an hour. Alternatively, you can drive; or take a bus. In December, daytime highs in Baltimore are 11°C, while nighttime lows are 3°C. Wrap up your sightseeing on the 5th (Thu) early enough to take a train to Philadelphia. Take a break from the city and head to Valley Forge National Historical Park and Rancoccas State Park. Museum-lovers will get to explore Philadelphia Museum of Art and Independence Hall. Take a break from Philadelphia with a short trip to Longwood Gardens in Kennett Square, about 52 minutes away. Next up on the itinerary: shop like a local with Rittenhouse Square, admire the masterpieces at Barnes Foundation, hike along Schuylkill River Trail, and tour the pleasant surroundings at Kelly Drive. To see where to stay, ratings, reviews, and tourist information, read our Philadelphia route planner. Traveling by train from Baltimore to Philadelphia takes 1.5 hours. Alternatively, you can drive; or take a bus. In December, daytime highs in Philadelphia are 10°C, while nighttime lows are 1°C. Finish your sightseeing early on the 8th (Sun) to allow enough time to take a train to New York City. Get some cultural insight at Fifth Avenue and The Museum of Modern Art (MoMA). Shop till you drop at Tiles For America and Agora Gallery. There's still lots to do: admire the masterpieces at The Metropolitan Museum of Art, see the interesting displays at New York Public Library, pause for some serene contemplation at St. Patrick's Cathedral, and get a new perspective on nature at American Museum of Natural History. To find maps, where to stay, and more tourist information, refer to the New York City visit planner. You can take a train from Philadelphia to New York City in 2 hours. Alternatively, you can drive; or take a bus. Expect a daytime high around 10°C in December, and nighttime lows around 2°C. Wrap up your sightseeing on the 13th (Fri) to allow time to travel to Boston. Start off your visit on the 14th (Sat): wander the streets of Newbury Street, admire the striking features of Trinity Church, then explore the world behind art at Museum of Fine Arts, and finally browse the different shops at Faneuil Hall Marketplace. On the 15th (Sun), you'll have a packed day of sightseeing: stop by Brookline Booksmith, contemplate the long history of Orchard House, then steep yourself in history at Walden Pond State Reservation, and finally explore the different monuments and memorials at Mount Auburn Cemetery. To see reviews, traveler tips, other places to visit, and tourist information, read our Boston day trip website . Traveling by combination of bus and flight from New York City to Boston takes 3 hours. Alternatively, you can fly; or drive. Prepare for a bit cooler weather when traveling from New York City in December: high temperatures in Boston hover around 7°C and lows are around 0°C. You will leave for home on the 16th (Mon).